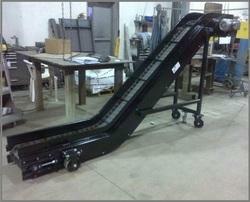 We design and develop high quality Conveyors for scrap handling customized to the requirements of the application. 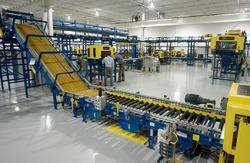 Our conveyors have been extensively field tested and have proven performance and reliability. We constantly upgrade our designs with the current technologies to achieve high efficiency with minimal running costs. We have an inhouse design team of well qualified and experienced engineers, with access to latest designing techniques and modelling softwares which help us in developing optimal designs for individual applications and their validation. 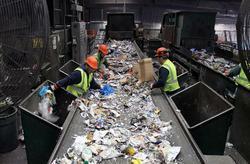 We have over 30 years of experience in design & manufacturing Conveyor Systems for scrap handling. Our ISO 9001:2008 systems certified workshop is fully equiped with fabrication equipments and is located in Noida (Delhi NCR). 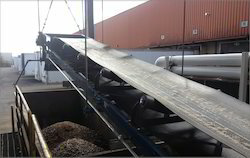 Our chip & scrap handling conveyors systems is known for reliable and efficient handling of machine chips known for reliability, low maintenance and ease of operation. We manufacture scrap metal handling and metal recycling conveyors that will tackle the toughest jobs. Whether part of chip removal, stamping scrap, chip collection system or handling large scrap metal we can design and build the conveyor or conveyor system for your application. Our Steel Belt Conveyors find application for handling heavy loads in industries. 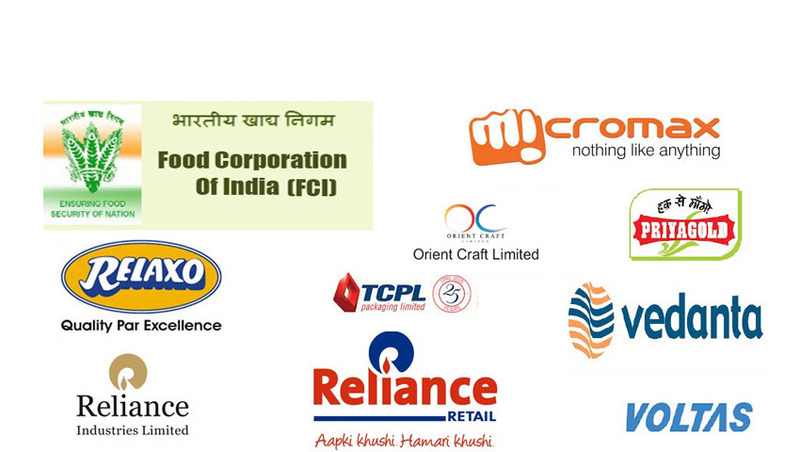 These are manufactured using top grade material that ensures their durability and performance. These are available at competitive prices. We manufacture and supply Steel Belts Conveyors which comprises one or more endless chains with which helps in non-overlapping, non-interlocking. These are available in various sizes, shapes as per the customers requirements. The material of the belt can be selected based on the application from High Carbon Steel & Stainless Steel. 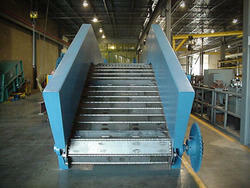 We manufacture customized Recycle Belt Conveyors for applications of sorting, washing & transfer. Our conveyors are made with high quality rubber belts for better abrasion and longer belt life. We use multiple belt scrapers for automatic cleaning of belts while running. Options of using magnetic pulleys or overhead magnetic separators are available for segragation of ferrite compounds. 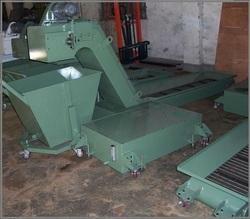 These conveyors are custom made as per the needs of the application. Please send us your requirements. We are manufacturers of material handling conveyors . These conveyors are in demand by industries like cement manufacture, steel industries, sugar mills, mining and construction works etc. Our conveyors are completely customized for belt width, length, loading capacity and other parameters so as to provide a tailor fit conveying solution. We manufacture magnetic conveyors for suspension applications or for use as overband magnetic separators. 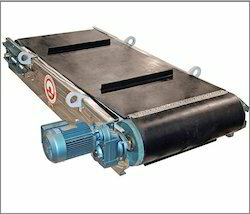 The magnetic strength of the conveyors is customized as per the size of the lumps their weights. We use a variety of high quality magnets such as Strontium Ferrite, Molybdenum and other rare earth magnets that are sourced from reliable suppliers. The pulling power (Gauss Strength) of the magnets can be easily achived ranging from a few hundred gauss to over 2000 gauss depending on the requirements. These are custom made items. Our Chip Conveyor is made of linked steel belts that is suitable for continuous conveying of chips without any spillage. These belts integrate replaceable parts with side wings and drag bars as well as rollers and sockets. Their drive system comprise a hollow shaft-gear motor which in turn deliver mechanical and electrical safety in every operation. In addition, their frameworks are finished with textured or smooth paint. We manufacture customized trough conveyors for conveying of loose materials with conveying capacities ranging from 1 MTPH to over 200 MTPH. We have belt widths available from 500 mm to over 2 meters. The lengths of our conveyors can run ranging from a few meters to several hundred meters. We follow standard design manufacturing procedures as per IS/DIN/CEMA standards to ensure high quality conveyors with low friction rates and power efficient. Our conveyors have proper belt alignment due to high quality fabrication machining of the components perfect alignment by our trained technicians at the site. This prevents material spillage belt run off, which are the two most common problems that plague these conveyors. Our conveyors can be customized with travelling trippers (for intermediate discharges), specialized pulleys, online weighing monitoring other features.